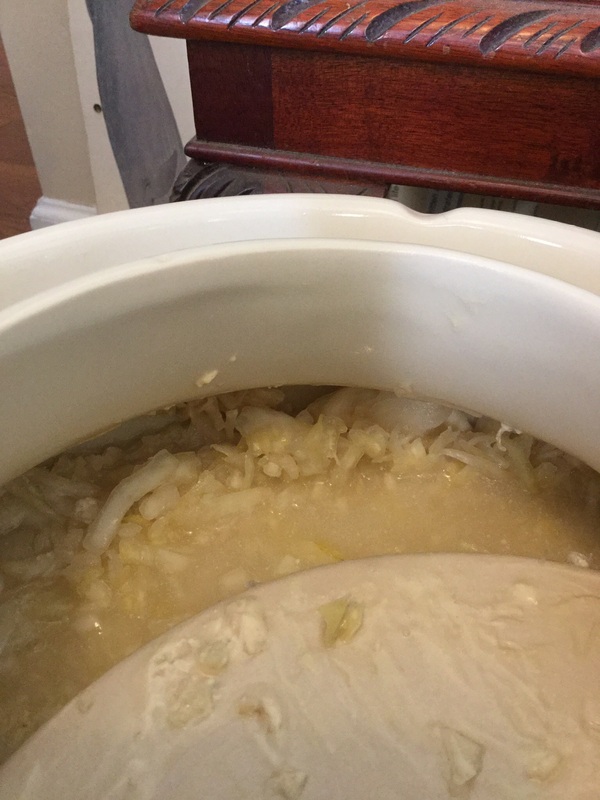 Well, we’re a little over a week into the fermentation process, and our cabbage is really starting to smell, taste, and look like sauerkraut! This was our first peek and tasting. We were greeted with a bit of scum on top of the weights from the whey, but no mold whatsoever! We slid one of the weights to the side to see how things are progressing, and steal a little taste. Still needs to ferment for a few weeks, but it’s all moving in the right direction! When people ask what a hobby farmer wife wants for her birthday, or where she goes for a “girls’ night out,” they are often surprised by my answer! 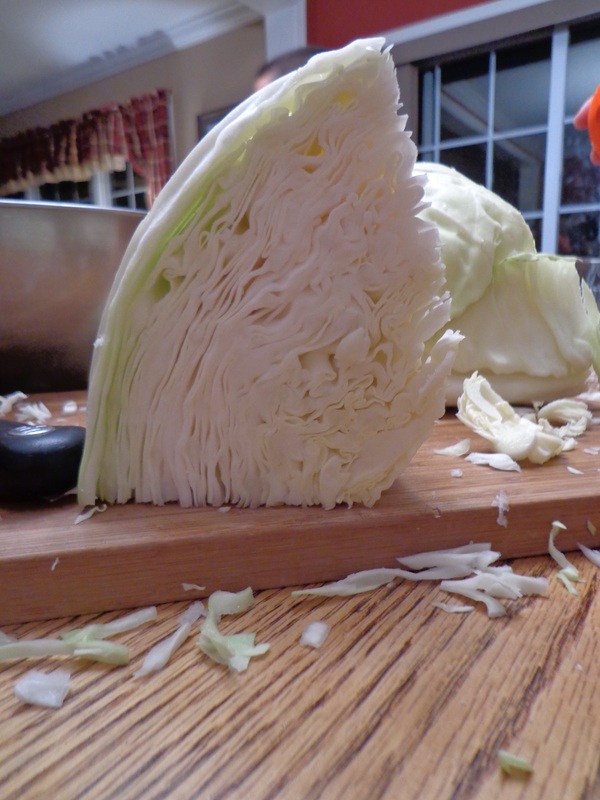 The girls’ night out consisted of a road trip with another farmer girlfriend for dinner and a U Conn-sponsored fermentation workshop, and my gift…an heirloom quality fermentation crock and 5 ginormous heads of fresh cabbage! What more could a girl ask for?! Yeah…you guessed it…I’m not a jewelry kind of girl! At the workshop we learned some of the science, history, healthfulness, and incredible usefulness of fermenting vegetables. 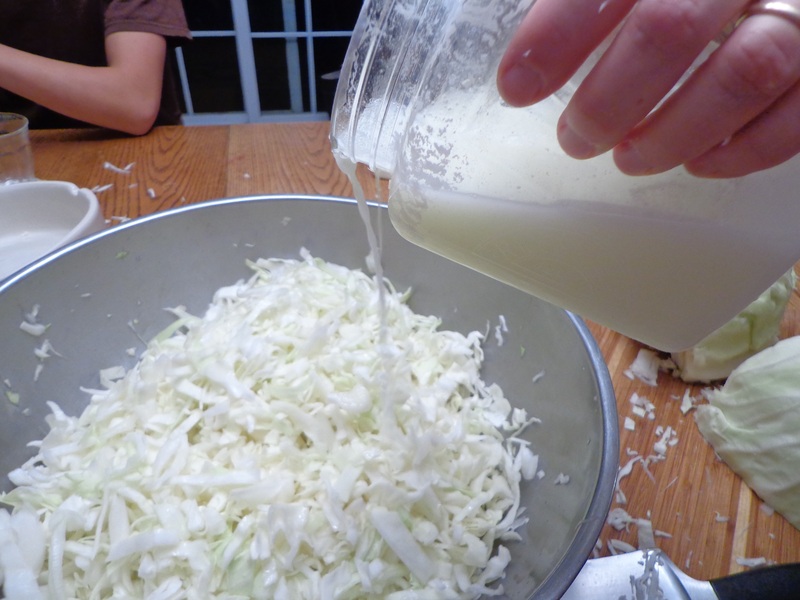 I was excited about learning how to make homemade sauerkraut, something I fondly remember my Hungarian aunt making in an old crock at her rural home. Little did I know, though, how versatile and relatively easy it is to use fermentation to preserve many of the vegetables we grow in our garden! I think we’ll be eating a lot of salt pickles next year! As soon as we unpacked the crock when it was delivered, we got started with preparing the cabbage for a big batch of sauerkraut. It is a Pennsylvania German/Amishtradition to serve sauerkraut for the New Year, so we needed to get things “cooking” so our sauerkraut would be ready in time! This is a German custom. Pennsylania Dutch, of German descent, also serve these foods. For making sauerkraut, truly only salt and cabbage are necessary. 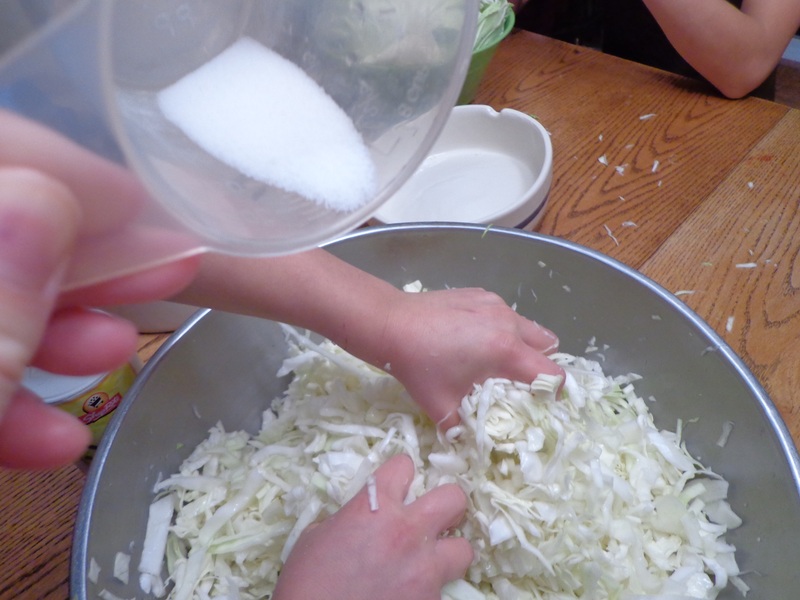 The salt preserves as well as helps to release the juices from the cabbage. It was amazing to see the volume of cabbage in the bowl seem to reduce as we massaged the salt into the leaves and liquid was released. 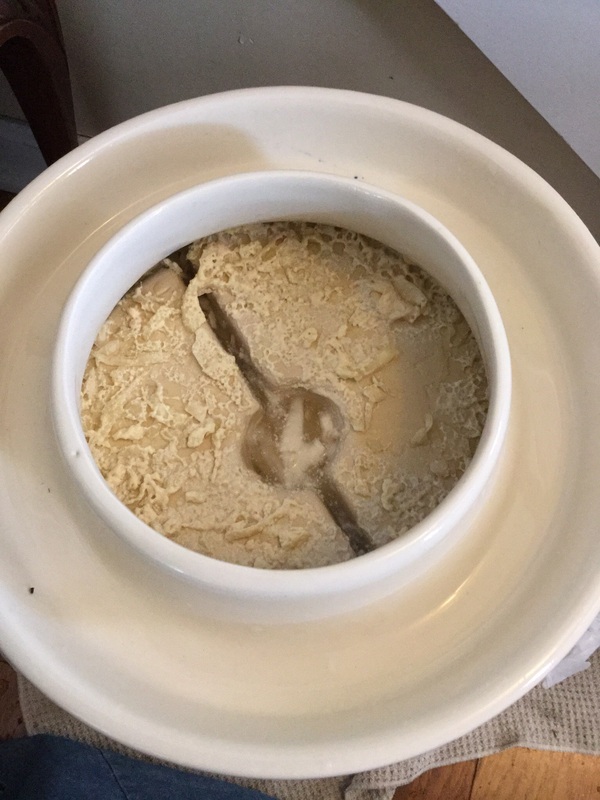 We added the whey, strained from our homemade yogurt, to jump start the lactobacillus culture which does all the work to make the sauerkraut. At this point you can also add onions, apples, carrots, garlic, caraway seeds, or any other enhancements you may have on hand. 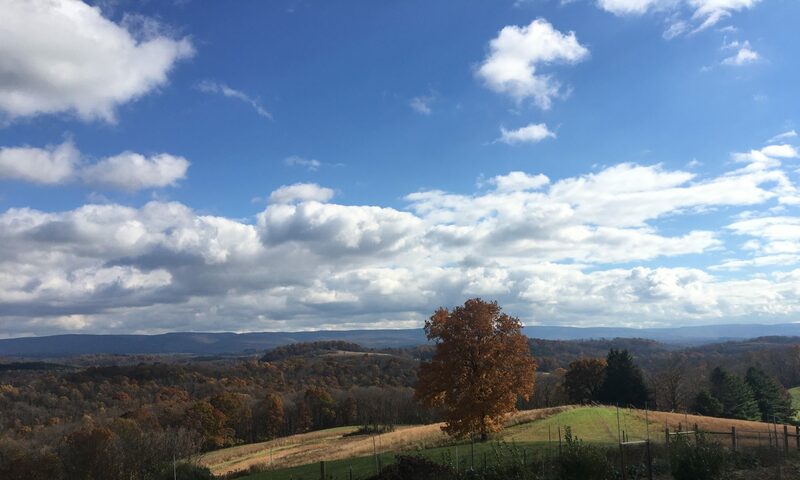 With fermentation, the beauty of it is that the sky is pretty much the limit, as long as your produce is clean and fresh and healthy! We packed each batch tightly into the clean crock. This was the opportunity for our boys to flex their muscles a bit! We filled the crock about three quarters of the way, leaving enough head space to place the two semicircular weights that come with the crock on top of the cabbage. 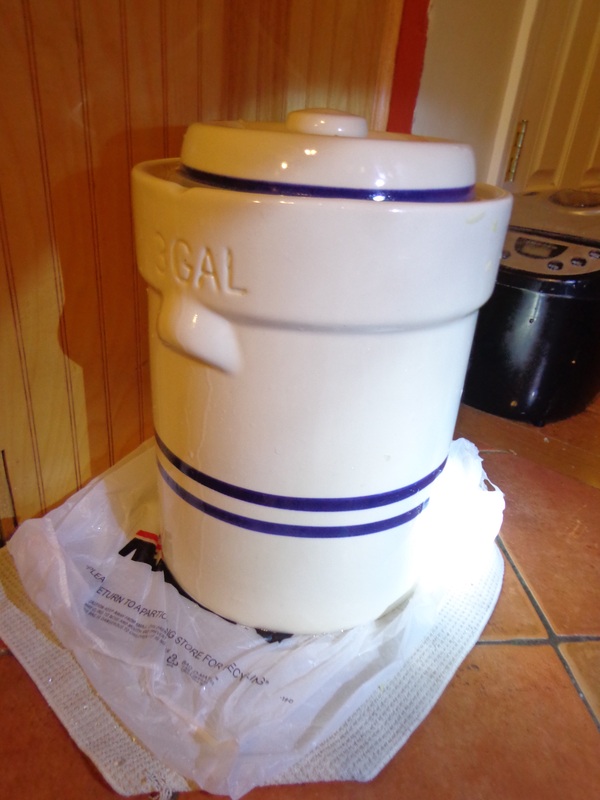 Oxygen is the enemy of fermentation, so the weights are meant to hold the cabbage submersed in the liquid. We then topped it all off with about an inch and a half of whey. The second line of defense against oxygen entering the sauerkraut is this ingeniously simple lid style. 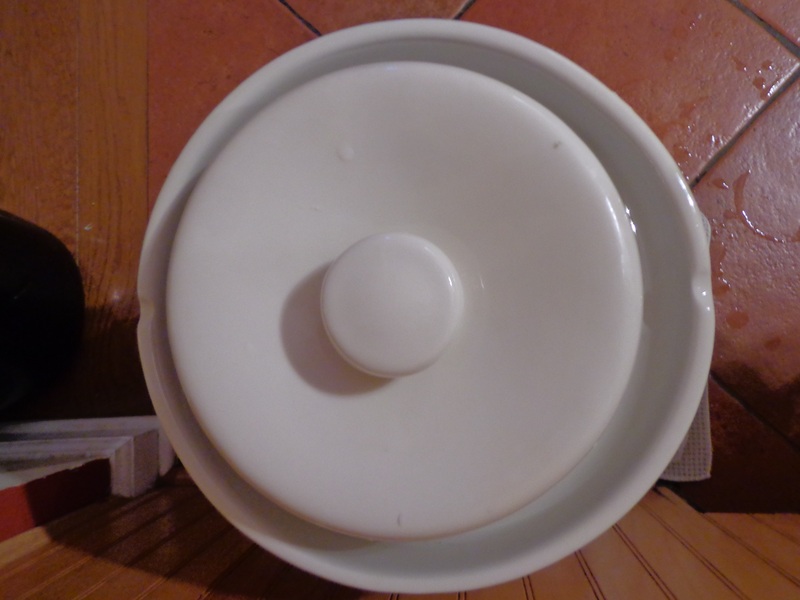 The manufacturer of this crock, who has been making these since the 30’s, devised a moat that is filled with water which creates a one way valve for the lid. Gasses can escape from the crock as the lactobacilli do their job, but oxygen cannot get in. 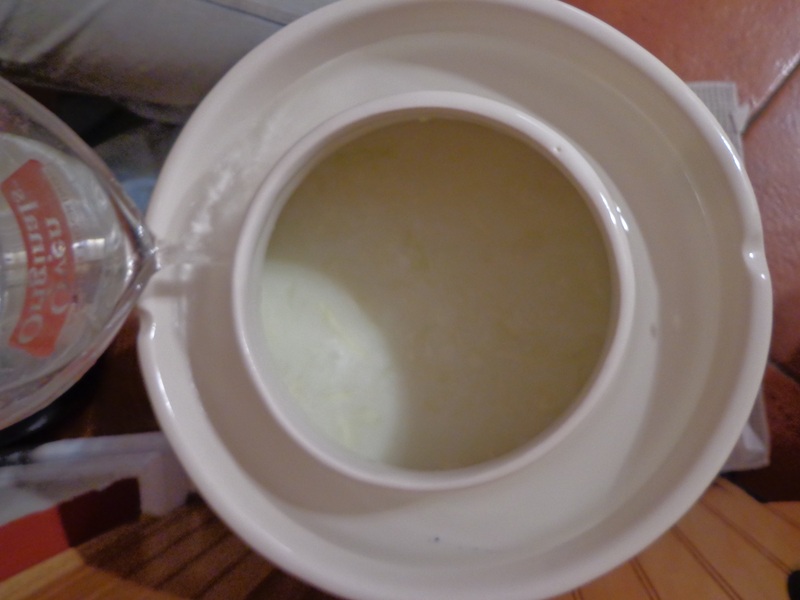 The final trick was finding a good fermenting temperature in our woodstove-heated home. Ideal fermenting is between 65 and 70 degrees. Here the crock will remain for a little over a week, belching from time to time to remind us that it is indeed a living, “breathing” thing! At that point the crock will be moved to our cool basement for a slower fermentation rate which we are told makes for a better flavor. We have been assured in our class that nothing dangerous can grow in this salty acidic environment, so theoretically the kraut can just be stored in the crock until we’ve finished it. We can also can some in a water bath. It is so hard to resist peering inside! If all goes well, that sauerkraut is going to cook up nicely with an awesome pork roast and grace our table on New Years Day!